Location was great, but did not like hotel layout. Main restaurant advertised as having evening hours 4:30pm to Midnight. After a long evening at a broadway show we stopped by the restaurant at 11:20pm to grab a quick bite only to be told the kitchen was closed but we could order room service?! We proceeded to our room and called several times to order room service and left a voicemail to no avail...no one ever answered or returned our call. Complete waste of time. Needless to say, we ended up leaving the hotel and going to the Hard Rock for food. The location was perfect and staff was great. Also the including the breakfast was the best idea. What was unique about the property was the location and how the main lobby was set up on the second floor. The location of this hotel was perfect for our trip to NYC! It wasn’t anything too glamorous, but it was clean and safe. I was pleasantly surprised by the size of our room, and the staff was very accommodating. We didn’t spend much time in our hotel room but the time we did spend was comfortable! I would definitely stay at the Crowne Plaza again. The hotel was very clean and everyone was very helpful. Milton, the concierge, was extremely helpful and gave great advice. The hotel is in the middle of Times Square so you feel safe when you enter and leave the hotel. We were greeted with a smile and warm greeting by Ana in the breakfast restaurant every morning during our stay. Location was perfect! Also liked the complimentary drink vouchers we were given on arrival. The main complaint (reason for score on staff) is the rude & condescending attitude of the day manage Grant Sabar. I'm an older handicapped woman and he talked to me like I was an idiot. The night manager Jason McPherson was exceptional. The rest of the staff was very nice and accommodating. The bathroom was filthy and the temperature in the room could not be controlled. They did clean the room. I had to pay for a 2nd room so we could all be comfortable. Sabar told me to get another hotel but we decided to difficult as my daughter had gotten injured & couldn't walk. It's an older hotel and a bit run down but to be expected. Jason's kindness was the saving grace. As a side note, do not let anyone tell you New Yorkers are not nice. We had so many locals offer help without asking and the staff at the attractions were wonderful. I will definitely visit again to see more. Just not at Crown Plaza! 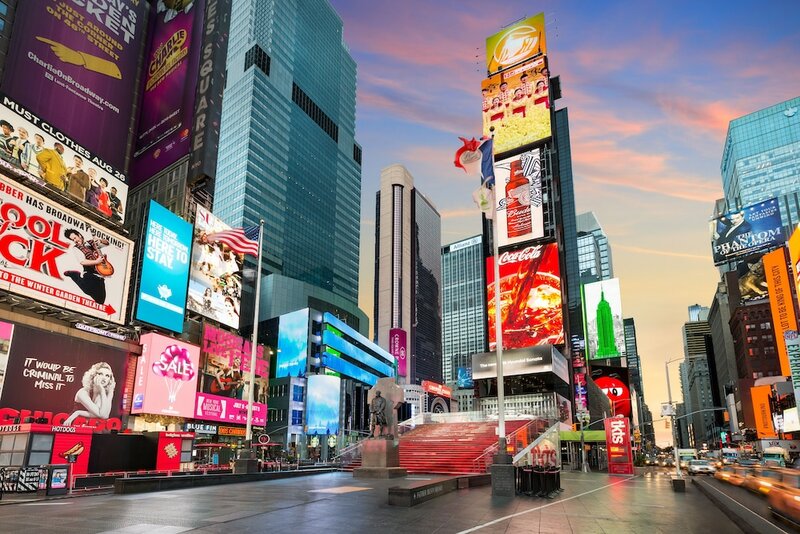 Located in Midtown, Crowne Plaza Times Square Manhattan is next to popular attractions like Walter Kerr Theatre and Ambassador Theatre. This 4-star hotel welcomes guests with 795 rooms and conveniences like an indoor pool, free in-room WiFi, and a health club. Sit down for a leisurely bite to eat at the onsite restaurant, or enjoy a drink at the bar/lounge. You can sip a beverage at the coffee shop/café. Buffet breakfast is offered for a fee each morning from 6:30 AM to 11:30 AM. Guests can expect to find free WiFi and 46-inch a flat-screen TV with cable channels and pay movies. Beds sport premium bedding and the bathroom offers a hair dryer and free toiletries. Other standard amenities include an MP3 dock, a coffee maker, and free weekday newspapers. Guests staying at Crowne Plaza Times Square Manhattan enjoy an indoor pool, a health club, and free WiFi in public areas. Valet parking is available for USD 85 per day. The 24-hour front desk has multilingual staff ready to assist with dry cleaning/laundry, securing valuables, and concierge services. Other amenities at this family-friendly hotel include a 24-hour business center, a computer station, and express check-in. Buffet breakfast is served daily from 6:30 AM to 11:30 AM for a fee. Brasserie 1605 - Restaurant serving breakfast, brunch, and lunch. Kid's menu available. Recreation features at Crowne Plaza Times Square Manhattan include an indoor pool and a health club. Guests under 18 years old are not allowed in the swimming pool, health club, or fitness facility.